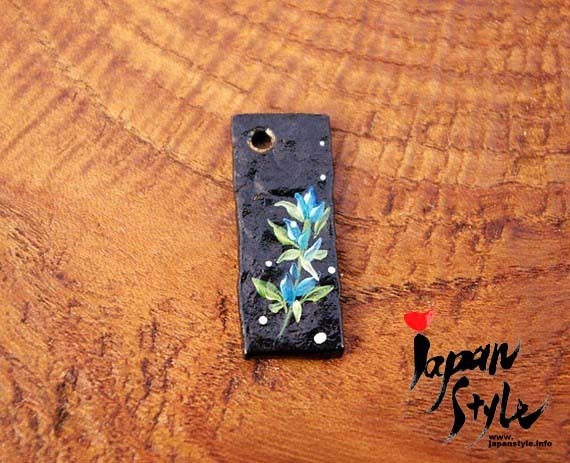 This is a (cell phone) strap with Japanese Nanbu Iron plate painted a flower. 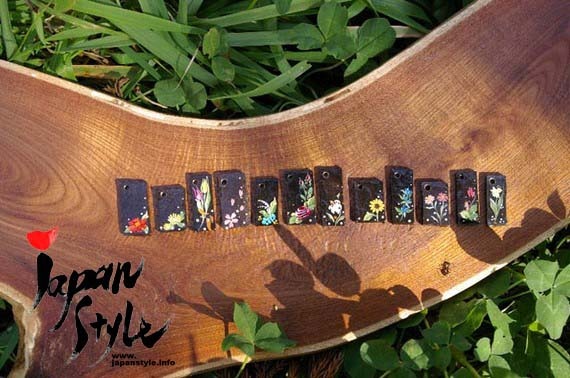 The flowers are birth flowers, so there are 12 different designs to choose from. This one is for September (gentian). 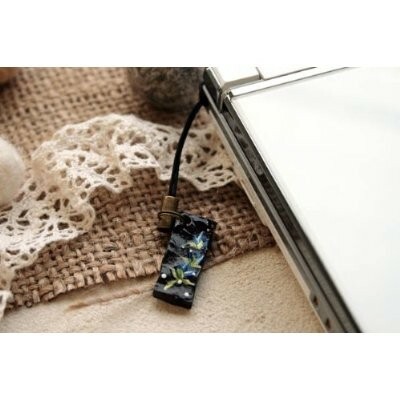 Each one is wholeheartedly painted by a craftsman. * This is the case of Japanese birth month flowers. * Only one side is painted. Today’s two particularly popular items that came out of this time period are the vine-shaped handled iron teapot and the decorative iron wind chime. Both items are very beautiful to see and touch. What makes the vine-shaped handled teapot significant is the brilliance of the casting techniques. Previously, teapots were cast from a mold, but with improving techniques under King Nanbu’s leadership blacksmiths were able to create an artistic handle separate from the cast pot. This vine-handle was hammered – not cast – into shape.